Home » Motorcycles » Where can I buy a motorcycle around Grand Junction? Where can I buy a motorcycle around Grand Junction? Whether your idea of fun consists of taking the chopper up to Sturgis for the weekend or just having a casual cruise around town with your buddies, we can all agree that life with a motorcycle is generally better than life without one. For this reason, we want to turn your attention to our current inventory of used motorcycles at Carville’s Auto Mart. It’s never been easier to roll off the lot closer to nature than ever before, so come and check out what we have to offer! Which brands of motorcycle are available at Carville’s? 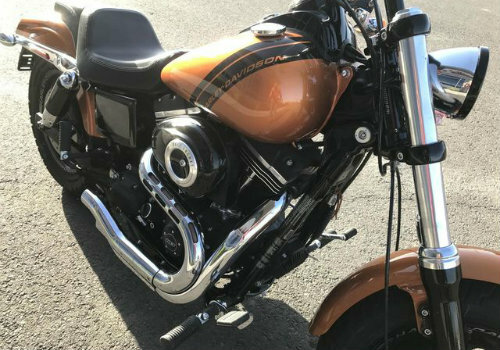 As with the standard automobile industry, the motorcycle market has its own major players, two of them being Harley-Davidson and Yamaha. With top-of-the-line models like the Fat Bob and Roadster, respectively, our inventory is stocked full of the most adrenaline-laced performance that you can find on the market! 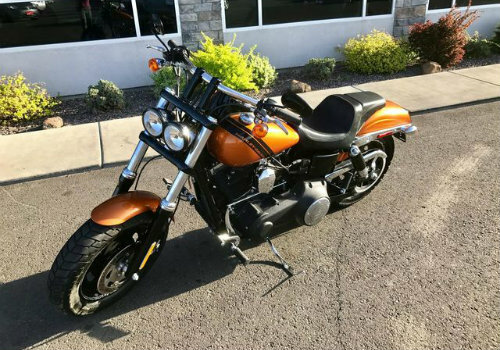 Best yet, you can ride off our lot with a high-quality motorcycle for prices south of $12,000, meaning that it’s never been easier to unleash those dreams of taking charge of the pavement with your best friends. If you’d like a bit more information on the current selection of motorcycles we offer or want to take one out for a spin, be sure to contact our sales team here at Carville’s Auto Mart. We’re always happy to get you set up with a test drive or work out a budget-friendly financing deal if you’re ready to roll. Give us a call today! What do you need to obtain a motorcycle license in Colorado? This entry was posted on Friday, February 23rd, 2018 at 6:02 pm	and is filed under Motorcycles. You can follow any responses to this entry through the RSS 2.0 feed. You can skip to the end and leave a response. Pinging is currently not allowed. What are some art galleries near Grand Junction, CO? What are the SUVs with the best towing capacity? What are some alternative uses for a truck bed? How can I camp out in my SUV? What are some of the best coffee shops in Grand Junction CO?